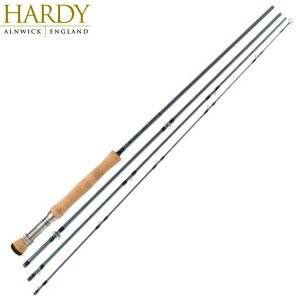 Hardy Bros Fly Fishing Rods represent cutting edge technology and high level performance in the angling world. Since 1872, Hardy has been developing some of the most classic tackle the world may ever see. In each and every Hardy product you not only feel the quality of the equipment, but the tradition it holds. 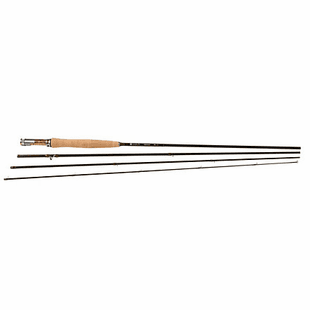 We currently carry three Hardy Fly Fishing Rods, each representing a different level of Hardy�s new cutting edge SINTRIX technology. Sintrix technology represents the new and unique patented material that Hardy incorporates into the blanks of their new fly rods. Produced by 3M, this material involves silica nano spheres, which bond to the carbon fiber filaments within Hardy blanks. However, it doesn't simply bond to each and every filament, it surrounds them. All carbon rods have carbon fibers that are bonded together by an adhesive resin. Silica Nano Spheres from Sintrix technology surround every filament in the blank thus providing a matrix of strength throughout the fly rod. Due to the spherical shape of these nano particles, the filaments are able to resist pressure and compression from every angle. Compression forces weaken fly rods the most (i.e. a bent rod), and these particles resist those weakening forces. The result is a massive reduction in overall weight of the rod but a drastic increase in strength�the best of both worlds. Of the three rods we currently carry 3 levels of Sintrix Technology are represented. 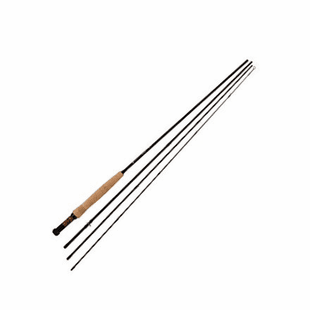 The Hardy Shadow Fly Rod has SINTRIX 220 technology, which is the stepping-stone into the higher quality models. The Hardy Demon Fly Rod represents the second level: Sintrix 330, which gives you a 30% increase in compressive strength over traditional graphite. Lastly, the Zephrus Ultralite has Sintrix 440, which gives you a 60% increase in compressive strength and a 30% weight reduction over traditional graphite. All Hardy Fly Rods come with a lifetime warranty!